For those unfamiliar with what the purpose of a glyph is in TERA, they are in essence an alternative means for talents. 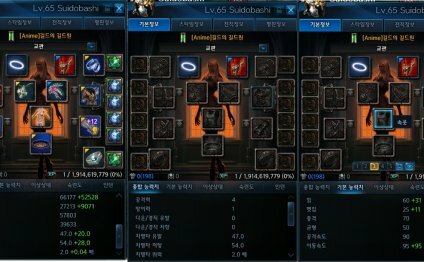 Similar to talents in World of Warcraft, TERA’s glyphs alter skill effects such as having skills cost less MP (Mana Points), having shorter cooldowns, increasing skill duration, improving damage, etc. They are provided to the player through the city Glyphmasters. In addition, you the player can choose whether to activate multiple glyphs on one skill or spread your augmentation over many skills. The beauty behind Glyphs is that if implemented correctly, the potential for customizing your character's abilities becomes almost limitless. This makes them far more appealing than Talent Trees IMHO, which offer a very limited means of customizing your character and often leads to a 'cookie-cutter' build approach. TERA claims, 'there are hundreds of glyphs for hundreds of skills, each of which has one to four different glyphs available'. Now, while that could have been worded a bit clearer, what I believe it boils down to is that there are currently four glyphs available per skill. Compared to the limited structure of talent trees, it’s quite a brilliant idea, especially when you consider that the developers can always add more glyphs to the game down the road! They could even add rare glyphs as drops throughout the game (and if that hasn’t already been thought of, I call dibs).